At Ace, we pride ourselves on being the helpful place. We believe in giving back to the communities we do business in and helping those in need. Since 1991, Ace has been a proud partner of Children's Miracle Network (CMN) Hospitals and the American Red Cross during disaster relief efforts. Through Ace retailers and customers, vendor partners, and Corporate team members, we have raised over $100 million for CMN Hospitals and have supported the American Red Cross through both monetary and product donations when a disaster strikes. Children's Miracle Network Hospitals raise funds and awareness for 170 member hospitals that provide 32 million treatments each year to kids across the U.S. and Canada. Donations stay local to fund critical treatments and healthcare services, and support research and training, all to save and improve the lives of as many children as possible. 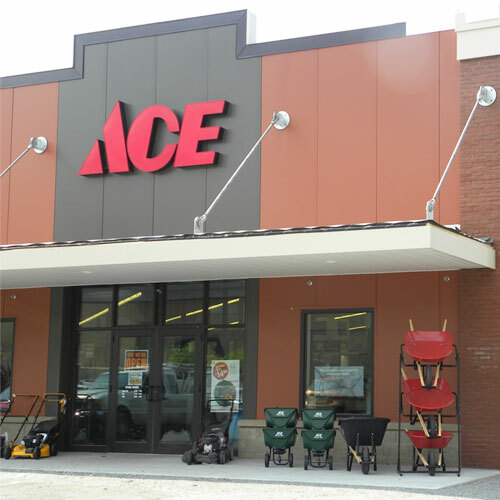 Ace stores support their local CMN Hospitals in a variety of ways including our Miracle Bucket promotion, change round up at the register, in-store fundraising events and more. And just like Ace, CMN Hospitals are local – which means the money raised at your neighborhood Ace goes to your local CMN Hospital. Stop in your neighborhood Ace to learn how you can support your local CMN Hospital today. To donate now or learn more about your local CMN Hospital click the Donate Now button below. Each year, Ace selects a patient who was treated at their local CMN Hospital to serve as the ambassador for Ace’s fundraising efforts for the year. This year, Ace selected Desmond Davis being treated at Beaumont Children’s Hospital. Ace Hardware is proud to partner with the American Red Cross during disaster relief efforts. From small house fires to multi-state natural disasters, the American Red Cross goes wherever they are needed, so people can have clean water, safe shelter and hot meals when they need them most. To donate now or to learn more about the American Red Cross click the Donate Now button below. The annual Ace Shootout brings together sports greats to compete in fun challenges. Rivalries and hilarity will be in full force all the while the players raise funds and awareness for Children’s Miracle Network Hospitals®. †Supporting the communities we do business in is important to us at Ace which is why we established national partnerships with Children’s Miracle Network Hospitals and the American Red Cross. We take pride in these partnerships and strive to make the largest impact on these causes With that, we only support CMN Hospitals and the American Red Cross and are unable to fulfill other charity requests.